To me Owls have been a "cool" bird for a very long time. I remember the Owl in the Pooh Bear stories. Lately I have noticed Owls appearing all over items and I had to have something Owl for my little birdie! My son does not make his sweet baby bird face anymore, but he will always be my little birdie. 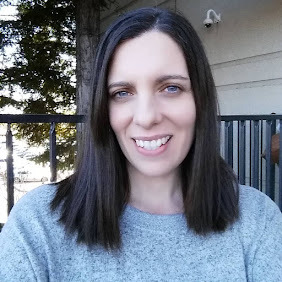 Another Mom blogger recommended to me a cute company that uses organic cotton and planet friendly water based inks to make their t-shirts. As soon as I saw the "Its all about the family" tee I knew it was the one we had to have! 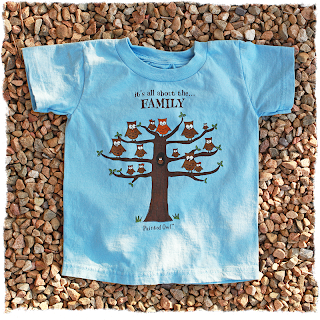 Its super cute and very in line with out Frugal Family Tree! 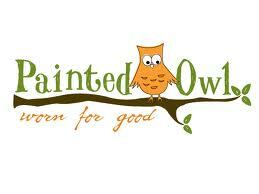 Each month The Painted Owl selects a charity to donate 3% of their profits to. For the month of November it will be Operation Warm, a charity that provides coats for kids. So if you dont win a tee here you can certainly purchase one with part of your money going to charity. 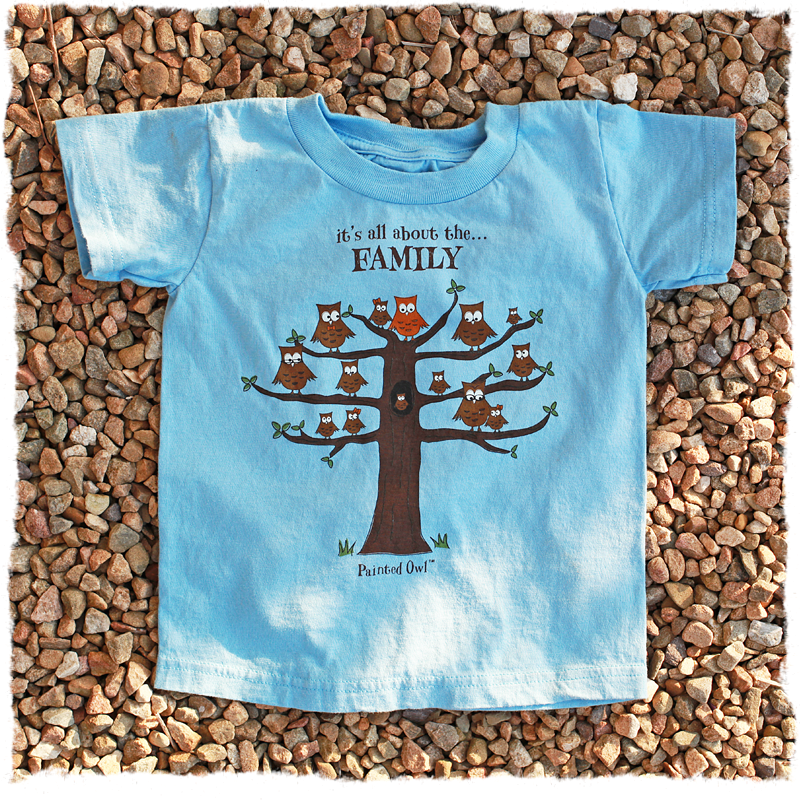 Win a Painted Owl Tshirt for your little one. Winners Choice from the "Its All About The" section. Which "Its All About The" Tshirt would you pick it you won? I would choose family, but adventure is also cute. I would pick the its all about the sugar tee shirt. I follow painted owl on twitter as kmayans. I would choose the family shirt. 'It's all about the adventure' is the shirt I would choose. I liked Painted Owl on FB. 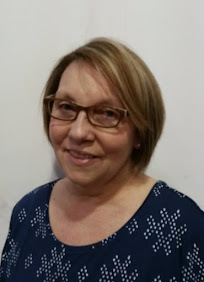 I now follow painted owl on FB. I liked your fan page on FB. I follow you on twitter. I'm @weeelectricbees. I would choose the it's all about sugar shirt. I'm torn between "Family" and the "Playground" shirt. Then I realized that both of those shirts have more owls than the others. They're just too cute! It's all about THE BEACH!!! I like the Family shirt. I like the "It's all about the Sugar"
I like the It's All About the Sugar t-shirt. I like the its all about the Adventure shirt. I like Painted Owl on Facebook. I follow Painted Owl on Twitter. its all about the family for sure! Liked Painted Owl on FB. Following Painted Owl on Twitter. I'd probably pick the beach tee! I follow painted owl on twitter! it's all about the FAMILY!!!! 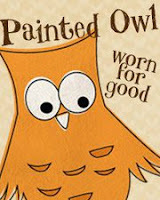 Like Painted Owl on FB! LOVE the Playground one ((1955nursehjc4me(at)myway(dot)com)) but I like the family one, too!!! I would choose the Sugar shirt. I follow Painted Owl on Facebook under the username likwan. I follow Painted Owl on Twitter under the username likwan. I shared this giveaway on Facebook at http://www.facebook.com/likwan/posts/295547067151711. I tweeted about this giveaway on Twitter at https://twitter.com/#!/likwan/status/143242759736799232.